Five years ago Embers of Oblivion was formed by guitarist Lars and drummer/vocalist Marco. Later the line-up of this Dutch melodic death metal band was complemented with guitarist Maarten, bass player Nomiis and vocalist Haat. In June 2015 Embers of Oblivion released their debut album, titled Dark The Winter Frost. Now, since last December, Dark The Winter Frost got a successor. This successor carries the title Widdershins Path. Right from the first moments of Widdershins Path the intense sound of the drums and the nice guitarsound in the melodic, up-building intro Enter the Void get you in the right mood for this album. Unfortunately it’s a little bit annoying that there is a, be it minimal, pause when Enter the Void changes to the first track When Emptiness Follows. It is only a very little point of criticism, but it probably was a better option if they would have merged the two tracks into one piece. The music Embers of Oblivion brings on Widdershins Path is very melodic yet also heavy at the same time, something they bring very well balanced, just as it should be in melodic death metal. The aforementioned strong, intense drums produced by Marco and the tight riffing well done by Lars and Maarten are the things that make this album very nice. They also produce most of the variation on Widdershins Path. A few examples in which this can be heard are Hate and As Lies Prosper. Except tight riffing the guitars also deliver ripping solo’s from time to time, like in Tread the Widdershins Path and When a Sun Drowns in Fear. However, the vocals of Haat en Marco are also great for sure. The main sound of these two can be described as somewhere between screaming and growling. Sometimes there also is an intense grunt to be heard, or, like in Hate, a piece of very low, greatly executed, clean vocals. I already mentioned Hate a few times but this track contains more interesting elements. It includes, for example, a more quiet piece which ends with the band coming back in the track in a very nice way. Besides that it also contains some more instrumental parts which could even be experienced as getting you in some sort of trance when played live. Another example in which this can be heard is Tread the Widdershins Path. It might not be very surprising that Hate is one of the four tracks that I personally liked the most on Widdershins Path. These four tracks are the last four tracks on this album, with Hate coming as the first one of these. The next track, As Lies Prosper, already starts nicely with the drums in the intro, which also come back later in this track. Nomiis’ bass guitar also is a bit more standing out in this track, just as in When a Sun Drowns in Fear. That track sometimes even sounds a bit towards black metal with its shoegazing guitars and blastbeats. To close Widdershins Path Embers of Oblivion delivers a furious track with Staring into the Abyss, which also includes some almost thrashy riffing. 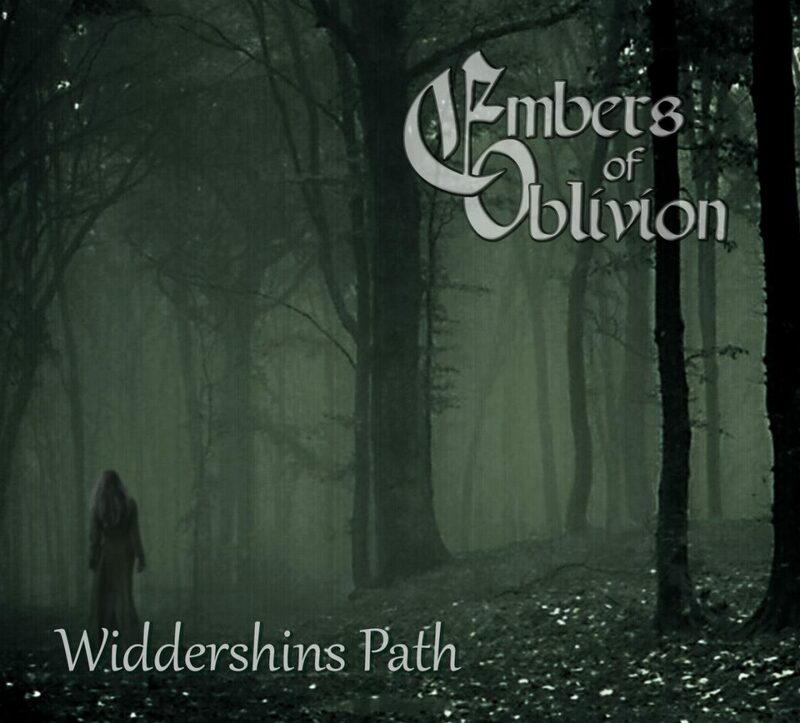 With Widdershins Path Embers of Oblivion delivers a very strong album, with, in my personal opinion the last four tracks being the best of it. These tracks are a bit more challenging compared to the earlier tracks, which still are good songs for sure. Widdershins Path is surely recommended to check out, especially for those who like some nicely done melodic death metal.